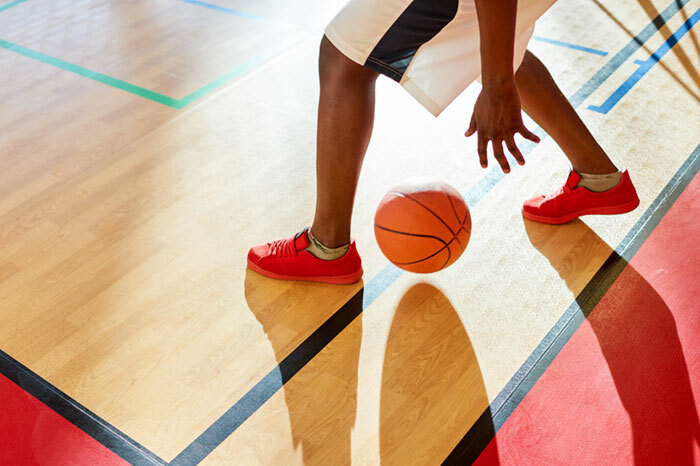 The NBA Playoffs tipped off this past weekend and for the first time ever you can bet on the outcome of the different games, series, and the entire playoffs right here in New Jersey. Plus, NJ online sportsbooks like BetStars NJ also offer live in-game betting options that allow you to watch games from the privacy of your own home and simultaneously bet on any mobile device or desktop computer on odds that are adjusted as the action continues. The first step in taking advantage of the live in-game betting options for the NBA Playoffs on BetStars NJ is signing up for an account. 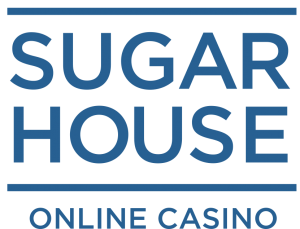 If you already have a Stars Account from playing online poker or casino games with PokerStars NJ, click on the tab labeled “Login” and do just that. It’s that easy and provided you signed up through our exclusive BetStars NJ link, you’ll be eligible for a sign-up bonus that includes a refund of up to $500 if you lose your first bet. That’s a risk-free bet you can make on the NBA Playoffs. Finding the live in-game betting options for the NBA Playoffs on BetStars NJ is even easier. Anytime there’s an NBA Playoff game on, just log in to your BetStars NJ account and click the tab labeled “In-Game” at the top of the screen under the BetStars logo. It’s the one directly on the right of the “Home” tab and there’s a clock on it. Then, just make sure the “Basketball” tab underneath it is selected and you should see all the available games. Underneath each game, you’ll find the number of live in-game markets available. Click on that to view the odds on all the different in-game bets. The odds will change as the game continues allowing you to bet on what you expect to happen next. In-game betting options can add a little excitement to any NBA Playoff game. These lines can keep you interested even late in the fourth quarter of a first-round blowout. Plus, in-game betting gives you the chance to hedge your bets a little. That way you can make up for a traditional NBA Playoffs bet placed prior to tip-off you suddenly wish you could take back. BetStars NJ is an Authorized Gaming Operator of the NBA thanks to a deal made in October 2018. That makes it a great place to try it out. The Masters tees off Thursday, and since you can bet on it in NJ for the first time, DraftKings Sportsbook has posted a variety of 2019 Masters lines. Betting on golf’s biggest major is as easy as clicking a few buttons at New Jersey’s top-grossing online and mobile sports betting operation. That’s right; the Masters tees off this Thursday. And since you can now legally bet on golf in NJ for the first time, the DraftKings Sportsbook app has posted a variety of Masters’ lines. It’ll most likely take you longer to decide who you think will wear the green jacket this year than it will to lay down a bet on it at DraftKings Sportsbook. The process starts with signing up for an account with the state’s top sportsbook. Enter a few details on the sign-up page, including new login info, your address and the last four digits of your Social Security number. Then it’s just a matter of downloading the DraftKings Sportsbook app to your mobile device or going to the homepage on your computer and logging in using the details you provided. Once you’re in, you can fund your account in a variety of different ways and browse around the different 2019 Masters lines on DraftKings Sportsbook. Plus, as long as you used our exclusive link to sign up, DraftKings Sportsbook will give you $25 in free bets just for signing up and match your first deposit up to $500. Perhaps the easiest way to bet on the 2019 Masters on DraftKings Sportsbook is simply picking who you think will win it all. Lay down a bet on any golfer before the start of Thursday’s tournament, and you’re sure to get some pretty decent odds. Of course, DraftKings Sportsbook will adjust the odds as the Masters progresses. So, don’t be surprised to see the numbers go down for the leaders after the first three rounds. You can also bet on a wide variety of other tournament and golfer specific Masters’ odds on DraftKings Sportsbook. This includes bets on who will lead after the first round that comes with a Birdie Boost attached. That means a winning wager of at least $25 on the first-round leader will get you an additional $2 bonus for every birdie that player makes. There’s no more popular golfer in the world than four-time Masters’ champion Tiger Woods and DraftKings Sportsbook knows it. In fact, betting data from DraftKings indicates Woods is the most popular bet to win the 2019 Masters. That’s why you’ll also find a variety of Woods’ Masters’ lines on the site. You can bet on Woods playing in Sunday’s final grouping at +800. Plus, get an odds boost on Woods winning it all, moving the line from +1400 to +2000. Finally, whether you like Woods or anyone else, DraftKings Sportsbook is offering a little insurance against a close call. 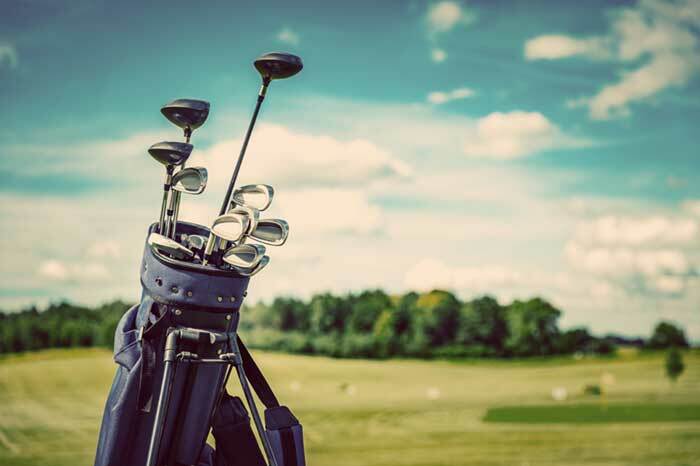 Place a bet on any player to win the 2019 Masters. Then, if they miss by finishing second or third, you’ll get your money back. Your bracket may be busted, but you can still bet on all the March Madness Sweet 16 games at NJ online sports betting sites. Here’s a look at all the odds. March Madness betting is certainly heating up. After the first two action-packed rounds this past weekend, the field is down to just 16 teams remaining. Your bracket may already be busted, but that doesn’t mean you can’t get in on all the Sweet 16 action. In fact, you can still bet on all the Sweet 16 and Elite Eight games at NJ sportsbooks this upcoming weekend. The Sweet 16 games will tip off this week, March 28 and March 29. Of course, you can always put together two or more of these bets as a part of a parlay for a chance at increasing your winnings. Plus, NJ online sportsbooks still have futures markets open allowing you to bet on who will get through each region and who will win it all. The first two rounds of the tournament went pretty much according to the seeding. In fact, all but two of the teams that made it to the Sweet 16 are No. 1 through No. 4 seeds. Courtesy of a win over the Midwest Region’s No. 4 seed Kansas, Auburn advanced as a No. 5 seed. Plus, Oregon established itself as the only true Cinderella story so far. The Ducks beat the South Region’s No. 5 seed Wisconsin in Round 1. Then, after No. 13 UC Irvine tried on the glass slipper by beating No. 4 Kansas State in Round 1, Oregon took it from them, beating the Anteaters by 19 to advance. As a No. 12 seed, this PAC-12 Tournament-winning Oregon team is the only one in the Sweet 16 higher than a No. 5 seed. If you believe this Cinderella story will include the fairy-tale ending, you can get +11000 on Oregon to win the title at FanDuel Sportsbook, or +10000 at BetStars NJ. Of course, Duke is still the favorite to win the NCAA Tournament, despite barely scraping by Central Florida in the second round. You can get Duke at +240 to win it all on BetStars NJ and +220 on FanDuel Sportsbook. Looking at the individual game lines posted above, there is one total that sticks out. North Carolina and Auburn were part of posting totals of 161, 140, 155, and 164 in each team’s first and second round games. As a result, the top NJ online and mobile sportsbooks have the total line for this Sweet 16 matchup posted at anywhere from 160.5 to 163. It’s the highest total of all eight Sweet 16 games. It’s an invite for anyone thinking to bet the under on the chance North Carolina and Auburn are going to step up the defense going forward. Although, if both teams’ hot shooting continues, the over may be the sharp play. Momentum is real in the NCAA Tournament. For sharp sports bettors, the seeding means less in the Sweet 16 than any other time. The teams that win aren’t always the higher seeds. They are the teams that are playing the best. The ones with momentum on their side. Oregon certainly fits the mold here. The Ducks won eight straight heading into the tournament, including four games in four days to win the PAC-12 Tournament. Now Oregon faces a No. 1 seeded Virginia team that has already proven it can be upset. Remember, Virginia became the first No. 1 seed in history to lose to a No. 16 seed in the first round of the NCAA Tournament last year. Plus, Virginia was the No. 2 seed in the ACC Tournament this season but lost to No. 13 Florida State in the tournament semifinals. The 7.5 to 8.5 point spreads posted at the top NJ sportsbooks for this game look like a real opportunity. Plus, if you can get anywhere from +295 to +320 on the Oregon moneyline that might not be a bad play either. In the meantime, that plucky Florida State team that beat Virginia in the ACC Tournament ultimately lost to Duke in the final and came into March Madness as a No. 4 seed. Now, the Seminoles face a top-seeded Gonzaga squad that also happened to be upset in its conference tournament. You can get anywhere from 6.5 to 8 points at the top NJ sportsbooks betting on Florida State, which might be a tad high. Plus, there appears to be some value in the Florida State moneyline at anywhere from +260 to +300. Take a good look at the Sweet 16 lines and you might find some other great March Madness spots to get your money down good. Put a little something on the line and there’s a good chance you’ll enjoy the rest of the NCAA tournament more than ever before. There are just 16 teams left in March Madness 2019. And FanDuel Sportsbook updated the odds for each team to win it all. What will your bet be? After a long weekend of college basketball, there are just 16 teams left in the NCAA Tournament. And you can bet on who will win it all with just the click of a few buttons at FanDuel Sportsbook. The first two rounds of March Madness wrapped up Sunday with the survivors advancing to the Sweet 16. These teams will now play for a spot in the Elite Eight in games across the country scheduled for March 29 and March 30. There wasn’t much in the way of upsets through the first two rounds, as all but two of the teams in the Sweet 16 are No. 1 through No. 4 seeds. Auburn advanced as a No. 5 seed. However, the only true Cinderella story so far is Oregon making the Sweet 16 as a No. 12 seed. Although, many college basketball fans might have seen this one coming. The Ducks won eight straight games to end the season, including four games in four days to win the PAC-12 Tournament. Now they’ll face the South Region’s No. 1 seeded Virginia in the Sweet 16 to keep the fairy tale going. FanDuel Sportsbook has had a futures market open all season long where you can bet on who will win the NCAA Tournament. 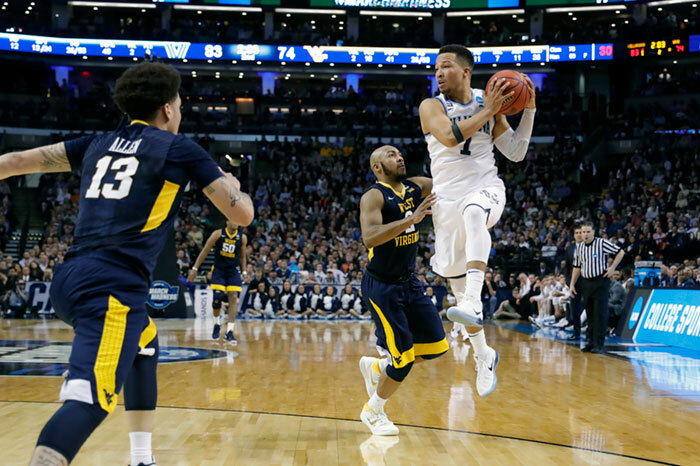 Immediately after the Sweet 16 was set, FanDuel Sportsbook adjusted the odds on the 16 teams remaining, but you can still get a decent price betting on any one of them to win it all. Duke has been the favorite all season long, and that continues. For that matter, the odds on Duke winning it all haven’t even changed, despite the team barely scraping by in the second round with a 1-point win over Central Florida. Outside of Duke, a bet on most of the Sweet 16 teams to win it all will pay less now than it did at the start of the tournament. That’s because each team’s chances of winning the title have significantly improved. The lone exceptions are Virginia Tech, LSU, and Houston, where the prices have improved based on the tough competition these teams are facing. Duke is still on Virginia Tech’s and LSU’s side of the bracket. In the meantime, Houston now faces a No. 2 seed in Kentucky and likely a very strong-looking No. 1 seeded North Carolina team if they move on. No matter what side you like, now is the time to make an NCAA futures bet at FanDuel Sportsbook. That’s because, as you can see, the NJ sports betting prices are only going to get worse as the tournament moves on. The first thing you need to do to place an NCAA futures bet at FanDuel Sportsbook is to sign up for an account. Register with your existing FanDuel daily fantasy sports (DFS) account or sign up for a new account and enter a few personal details. Download the FanDuel Sportsbook app to your mobile device or go to the homepage on your computer and log in using the details you provided. Plus, provided you signed up using the link above, you are eligible for a risk-free bet of up to $500. What that means is FanDuel Sportsbook will give you a refund in site credit of up to $500 if you lose your first bet. And, there’s no reason why that can’t be an NCAA futures bet. Once you’ve registered, you can make a deposit on FanDuel Sportsbook using one of several easy methods, including PayPal and ACH. Then, the NCAA futures market is just a few clicks away. At the top left of the FanDuel Sportsbook homepage, you’ll find a list of popular betting markets underneath the logo. Just click on the CBB tab. There you’ll find a list of games with two tabs at the top entitled College Basketball and CBB Tournament. Just click on CBB Tournament and a CBB Champion box will appear with the current futures odds on the Sweet 16. Look around for the team you think will win it all, check the price, and click on it. A betting slip will appear that allows you to fill out the amount you want to wager. Once you input that, it’ll show you how much you can win if that team does. Think Duke has it all wrapped up? You can see a $500 bet on the Blue Devils will pay $1,100, plus your bet back. Think Oregon’s Cinderella story will include the fairytale ending? You can see a $500 bet on the Ducks will pay an incredible $55,000, plus your bet back. Plus, either way, if it’s your first bet on FanDuel Sportsbook, you’ve got nothing to lose. Filling out a March Madness bracket ahead of Thursday’s tip-off can be a daunting task. Thankfully, New Jersey sports betting apps are here to help. Filling out a March Madness bracket ahead of Thursday’s first-round NCAA Tournament tip-off can be a daunting task. After all, you have to pick winners in 63 games and you’ve got just a few days (or sometimes a few hours) to do it. It’s enough to make the heads of even the most dedicated college basketball fans spin. Thankfully, even without that NCAA knowledge, NJ sportsbook apps are here to help. In fact, the moneyline odds and point spread information that NJ sportsbooks post for every single NCAA Tournament game can actually give you all the help you need in filling out a bracket. These moneyline odds and point spreads are put together by oddsmakers with in-depth knowledge about the world of college basketball. Think of them as NCAA experts. Then, lean on their expertise to help you make your picks. Of course, oddsmakers aren’t always right, but they’ll be out of a job if they’re wrong too often. So, you can feel confident in using the information available at legal New Jersey sports betting sites to help you make the majority of your March Madness picks. Then, identify some of the closer games made pick’ems by oddsmakers and go with your gut. Start with the biggest point spreads. Look for the teams that oddsmakers are making massive first-round favorites, then pencil them into the second round at the very least. For example, FanDuel Sportsbook has Kentucky posted as 22.5-point favorites over Abilene Christian in the first round. That means before you even learn how to spell Abilene Christian correctly you should be slotting Kentucky’s name into the second round on your bracket. In fact, knowing Kentucky is such a huge first-round favorite might make you want to think about writing them into the Sweet 16 at least. In the meantime, over on BetStars NJ, you’ll find Michigan State as 18.5-point favorites over Bradley. Basically, anything over 10 points means oddsmakers think a team is a lock to win and win big. That means writing the words Michigan State in permanent ink in the second round slot on your bracket is far from a bad idea. The same oddsmakers are using the same information to put together moneylines as well. Therefore, you can just as easily lean on the moneylines to help you fill out your NCAA Tournament bracket. Most NJ sportsbooks apps have moneylines posted for more than just the individual games. For example, you can bet on No. 1 seed Duke to win the East Region at -182 on DraftKings Sportsbook. That means you’d have to bet $182 just to win $100 plus your $182 back. No team is more of a favorite to win its region. So, that should give you some indication that slotting Duke in all the way to the Final Four on your bracket is likely a sharp move. Of course, browsing through the odds you’re bound to run into games with much tighter lines. Taking a look at the 8/9 matchup of Baylor versus Syracuse, we can see BetStars has Syracuse as two-point favorites and -137 on the moneyline. Baylor gets the two points and sits at +120. Lines like this indicate oddsmakers figure there isn’t much to choose between the two teams. Syracuse is the favorite, but it’s a lot closer to being a pick’em game than most. If you’re looking to fill out your bracket using NJ sportsbook app odds you can do one of two things here. 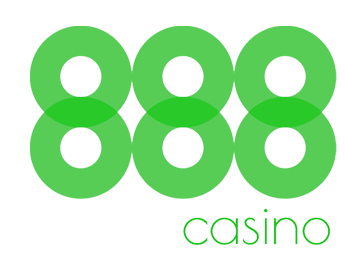 The first is to shop around to see if any other New Jersey gambling sites have much different odds posted on the game. The second is to just go with your gut. Is the voice inside your head telling you a traditional college basketball powerhouse like Syracuse is ready to make another NCCA Tournament run? Or, is it saying a team that hasn’t made the Final Four since 1950 is finally due? Finally, stand back and take a look at the big picture. It’s a good idea to go game-by-game when first filling out your bracket using NJ sportsbook app odds. Then, compare the teams you have running deep to the futures odds posted by those sportsbooks. NCAA futures are bets on a single team to win the national championship this year and a good way to tell who oddsmakers think are the favorites to go all the way. If you find your bracket contains three Final Four teams posted at +100000 right now, you might want to rethink things a little. The teams with a realistic chance of making the Final Four probably have futures odds sitting at less than +10000 currently. The final thing to note is that in New Jersey, sportsbooks are prohibited from taking action on any game involving an NJ college or university team. So since Fairleigh Dickinson and Seton Hall have made it into the First Round of play, be advised that they are off the board (OTB) at all 23 sports betting sites. Good luck putting together your NCAA Tournament bracket with a little help from the best NJ sportsbook apps in the business. 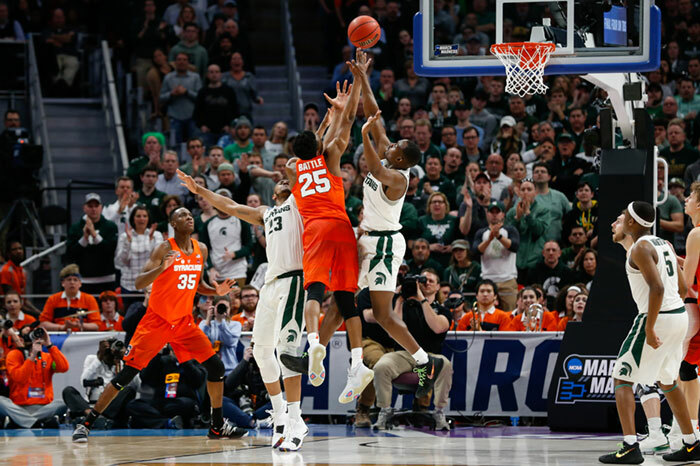 The 2019 NCAA basketball tournament doesn’t start until March 21, but March Madness betting is already a thing at BetStars NJ online sports betting site. The first round of the 2019 NCAA Division I Men’s Basketball Tournament doesn’t tip off until March 21, but March Madness betting is right now at BetStars NJ. In fact, BetStars has opened a College Basketball National Championship futures market with decent odds available, even on the teams that are favorites to run deep in the tournament this year. Futures markets traditionally offer moneyline odds on teams in most sports to win a title before the season starts. However, most NJ online sports betting sites will allow you to place a futures bet on any team still in contention throughout the regular season and into the playoffs. In the case of NCAA basketball, we won’t even know who’s in the tournament until conference tournaments across the country wrap up and the NCAA makes its at-large selections on Selection Sunday (March 17). 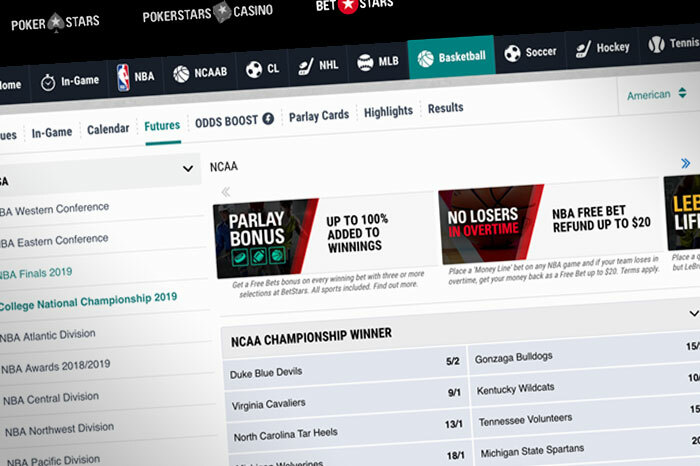 Online and mobile sportsbooks such as BetStars will allow you to bet futures on the top teams in the country right now throughout the rest of the regular season, conference tournaments, and deep into the NCAA tournament. In fact, for most favorites, the odds will never be better than right now because as a team’s chances of winning it all increase, the odds traditionally drop. Betting on March Madness futures market on BetStars is a simple process that starts with signing up for a Stars account. How do I sign up with BetStars in NJ? Click the Join tab on the top right of the screen. If you have a Stars Account from playing online poker or casino games with PokerStars, click the Login tab, type in your info and follow the instructions to link up with BetStars. If not, create a new Stars account by entering a new Stars ID and password, some personal details and clicking the Continue tab. Choose whether you’d like to receive special offers and updates from BetStars NJ. Click the Create Account tab. As long as you signed up through our exclusive BetStars link, you’ll receive up to $500 in free bets. BetStars NJ sportsbook will match your first bet up to $50. Plus, BetStars will give you $50 in free bets for every additional $150 in bets you make. You can do this nine times in total giving you a total of $500 in free bets. 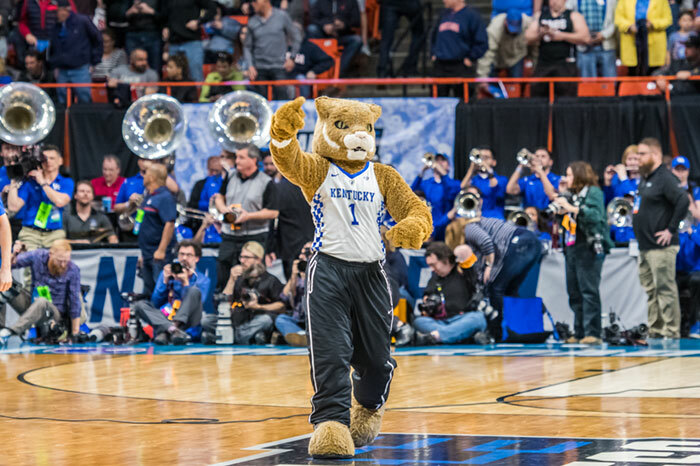 Of course, you can use these free bets on March Madness games once the tournament starts or the College Basketball National Championship futures market right now. Finding the NCAA basketball futures market is just as easy. Simply click the NCAAB tab and the Futures tab underneath it. On the left, you’ll find a variety of basketball futures markets. Just click the one that reads College National Championship 2019. As of March 4, BetStars had odds on the top 55 teams in the country posted. The Duke Blue Devils are the odds on favorite to win the NCAA tournament at +250 on BetStars. However, the AP Top 25 Poll – Week 17 college basketball poll released Feb. 25 had Duke ranked as the No. 3 team in the country. BetStars has the top-ranked Gonzaga Bulldogs at +750 to win it all. Plus, the No. 2 ranked Virginia Cavaliers are at +900 to win the national championship. Of course, some may be scared of betting on Virginia since the school became the first No. 1 seed in NCAA tournament history to lose in the first round to a No. 16 seed last season. Looking for a dark horse? Remember that the Michigan Wolverines made it all the way to the championship game in 2018. Plus, the team is ranked ninth in the country right now and sitting at +1800 on BetStars. Plus, the defending national champion Villanova Wildcats, a regional team favorite and winners of two of the past three NCAA tournaments, are at +5000. Also, there are some true long shots that offer huge paydays if they can become this year’s true Cinderella story. The Notre Dame Fighting Irish, West Virginia Mountaineers and Northwestern Wildcats are all sitting at +25000. And then there’s this little longshot nugget: A $100 bet on Oklahoma State to win the NCAA tournament will pay an incredible $27,600 if the currently 10-19 Cowboys can do the next-to-impossible by first getting into the tournament and then winning it all. Browse through the College Basketball National Championship futures market at BetStars NJ gambling site to find the odds on your favorite school, alma mater, or pick to win it all. Then place a bet as soon as possible because the odds on most teams that stand a chance to win the NCAA basketball tournament will never be better than they are right now.